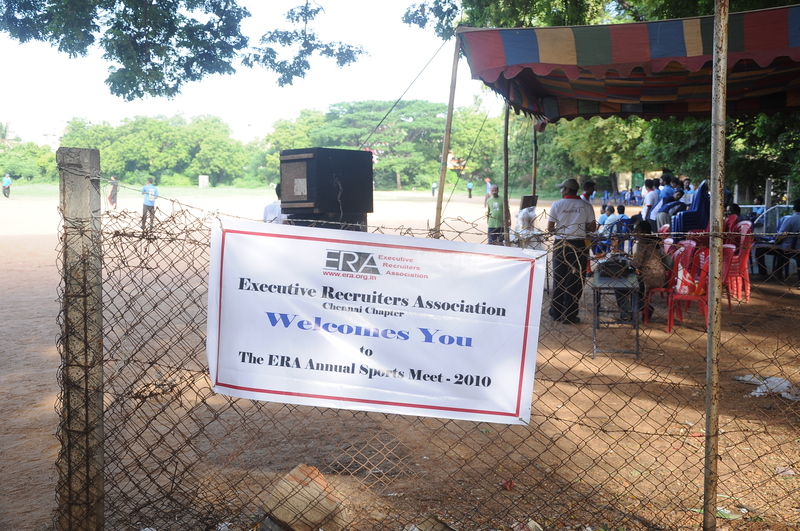 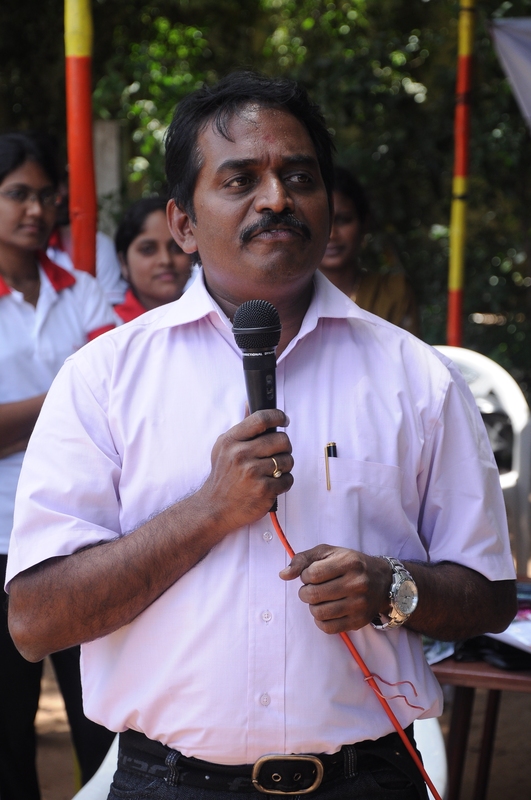 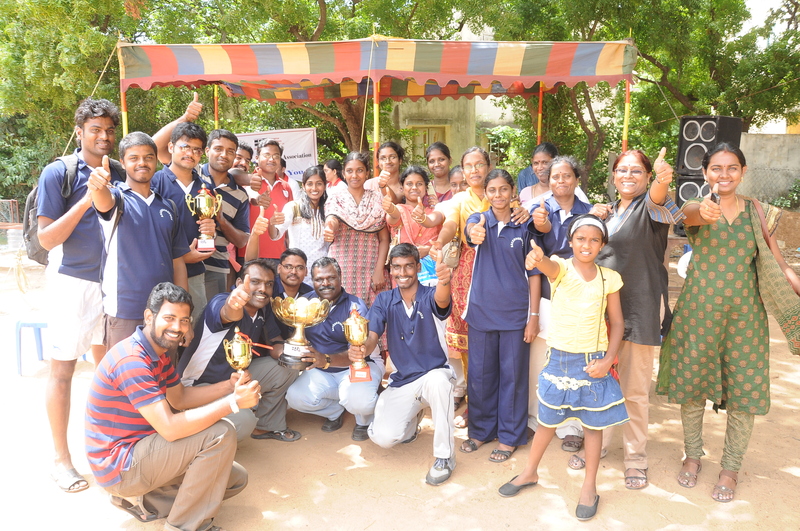 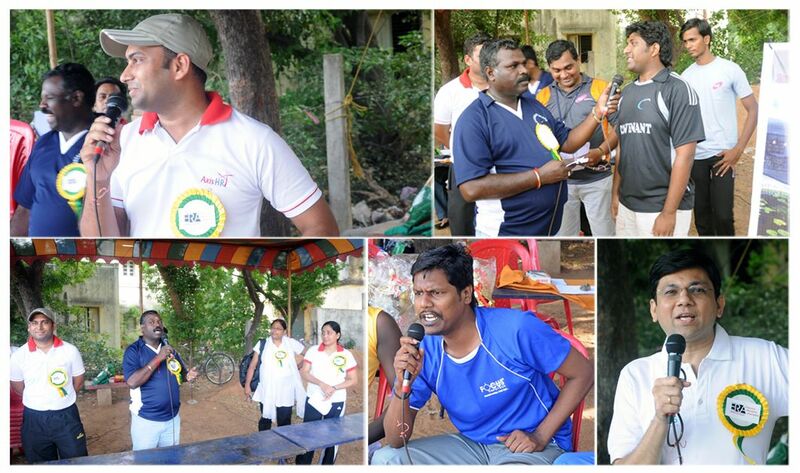 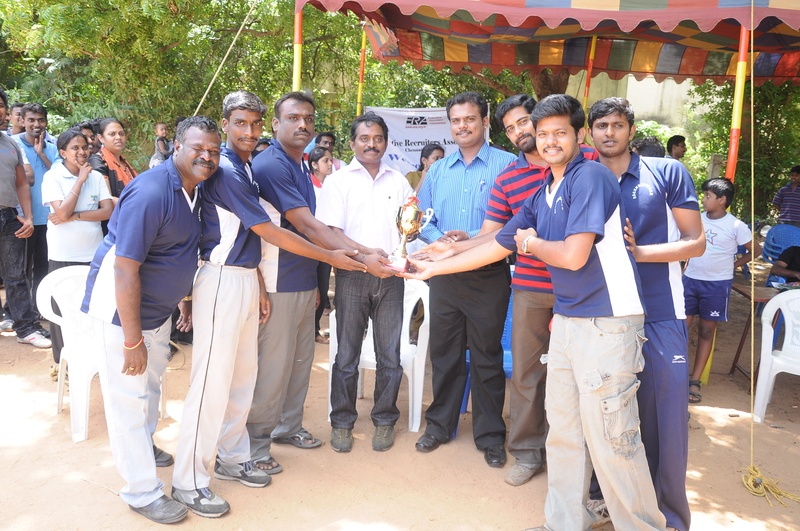 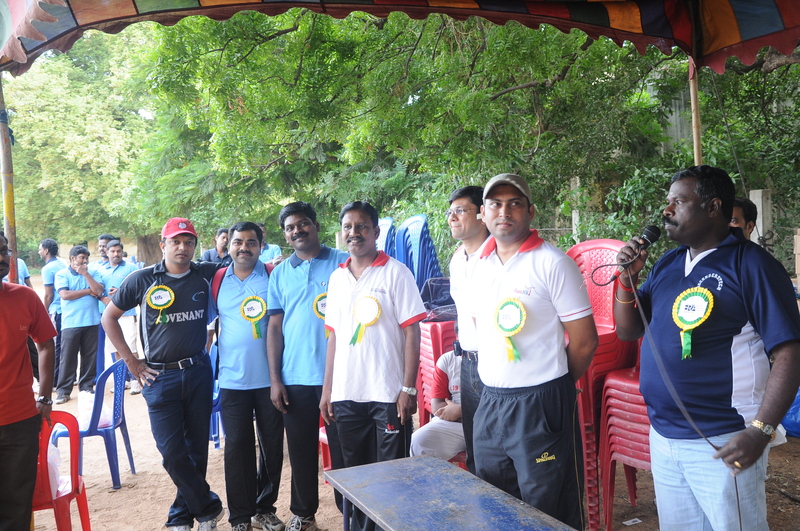 The ERA Chennai Chapter conducted the Annual Sports Meet 2010 on 26th June 2010 at the Pachaiyappa’s ground. 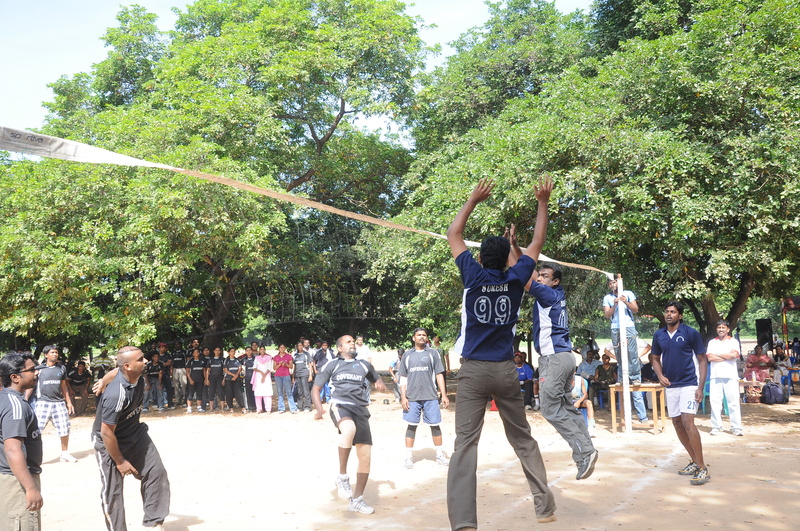 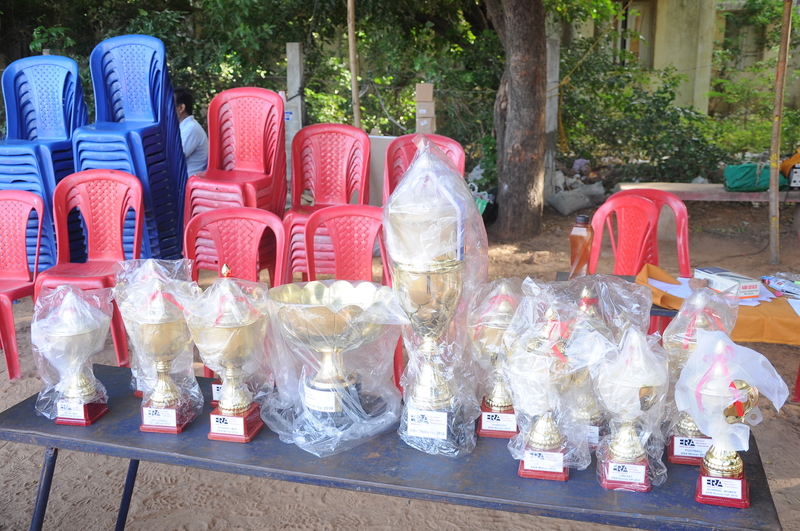 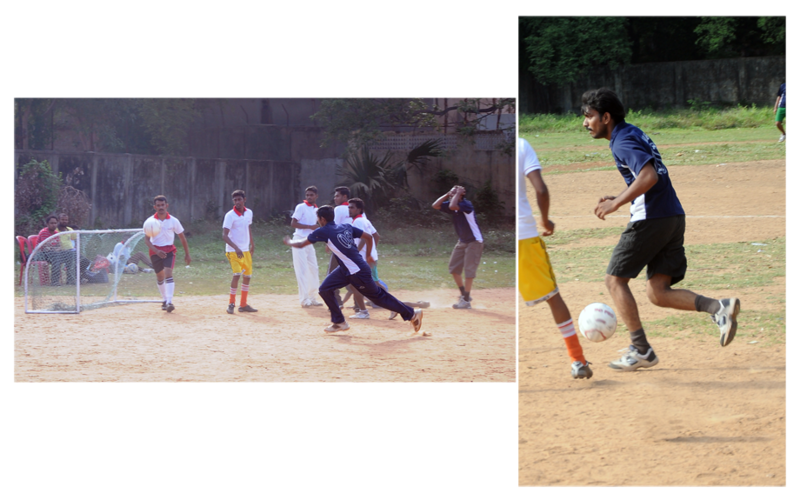 The Sports meet was well coordinated and most of the planned games and athletic events took place like clockwork. 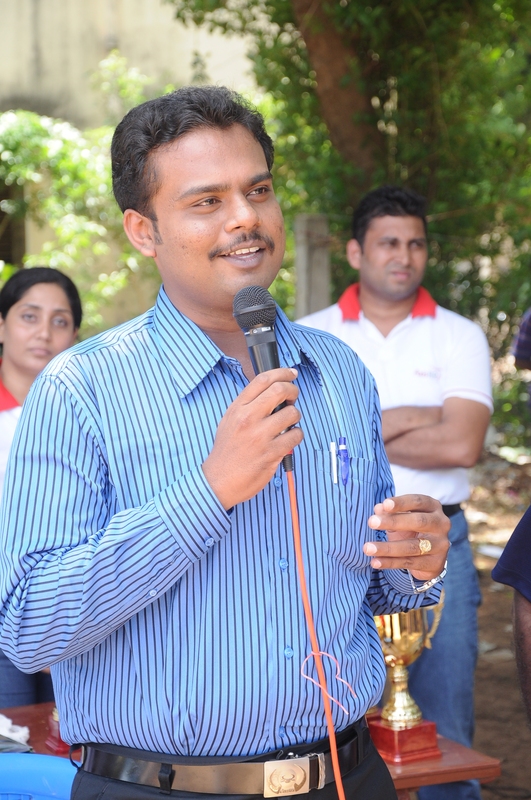 The day started on a positive note. 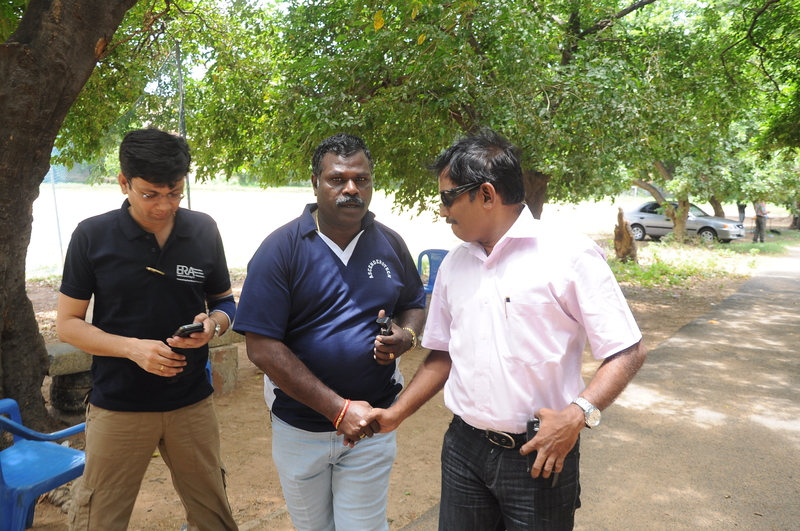 The weather was pleasant. 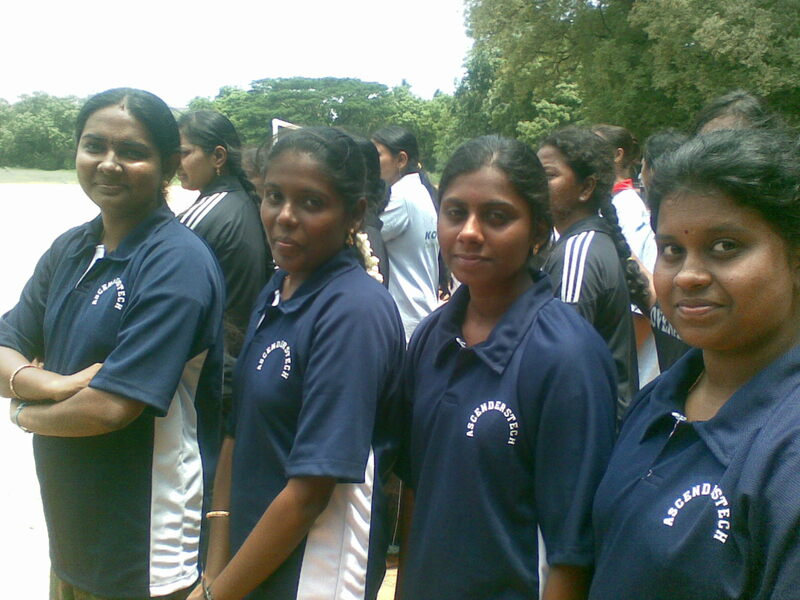 And the most surprising thing was that there was a bevy of beauties all set to play ball, sprint and jump like nobody’s business. 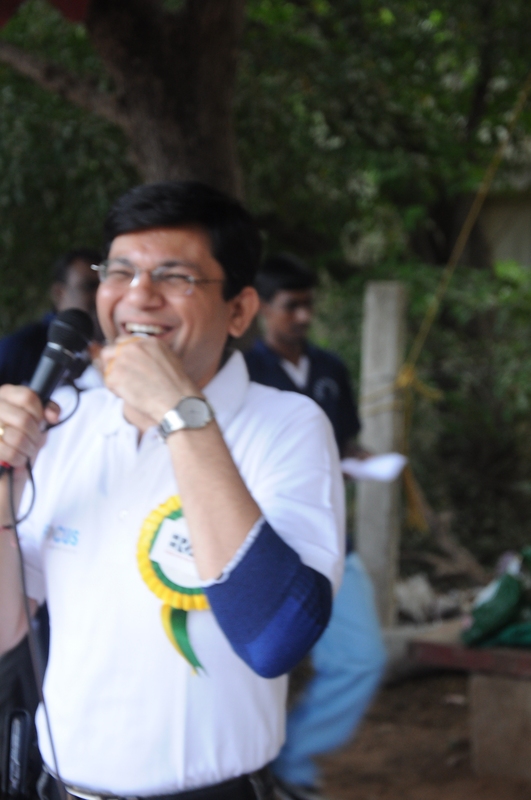 The events started off with the Chairman of ERA, Mr. Veerendra P. Mathur (MD – Future Focus Infotech) flagging it off with his usual quick witted humor. 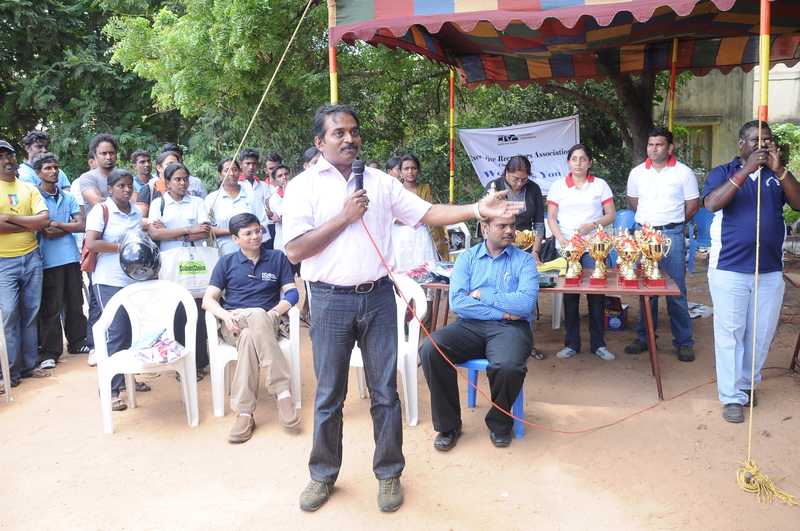 The Chairman of ERA was very happy to "let the games begin!" 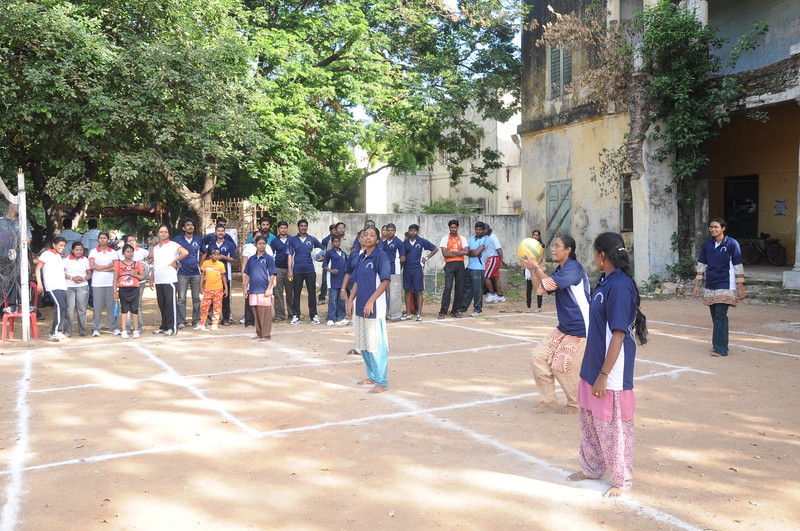 There was a scurry of activity that followed what with the women initiating the Sports meet with a tennikoit match on one side and the men with a football match on the other. 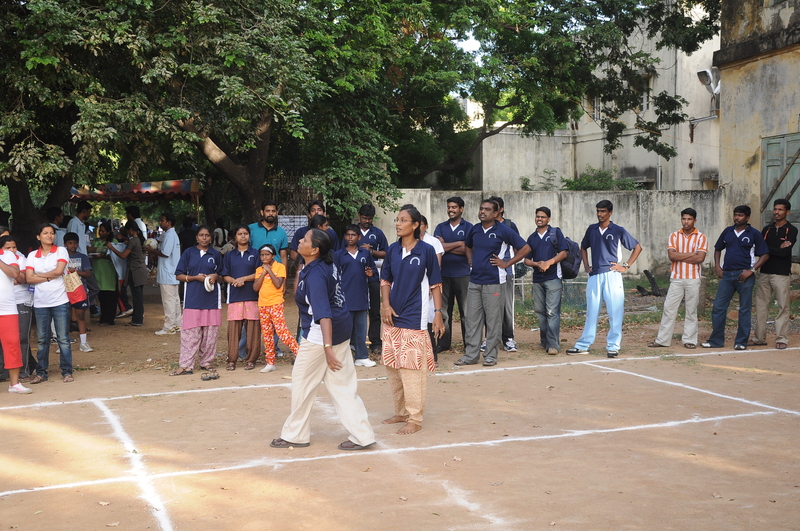 This was followed by throw ball matches for the ladies and cricket for the gents. 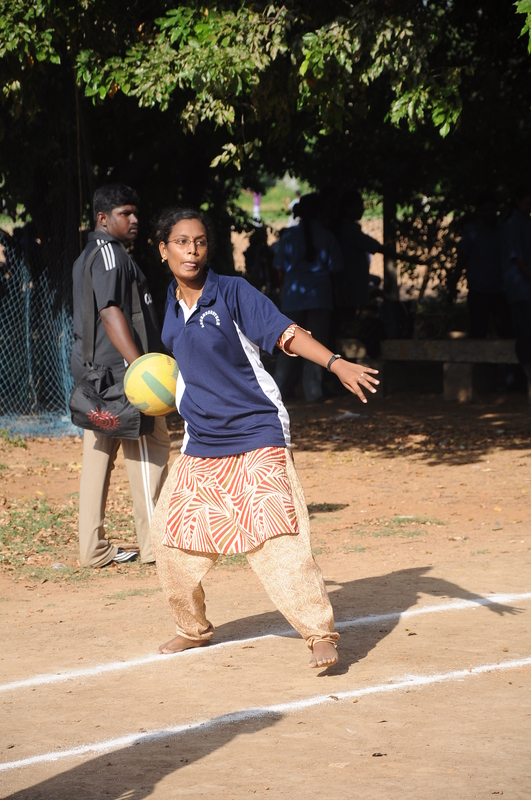 Elizabeth - Our Star of the Season! 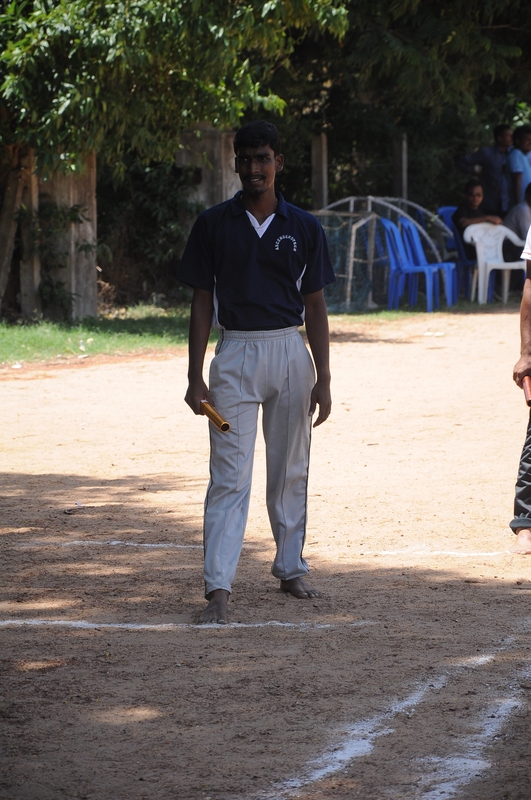 On the far end of the field, well after the boundary line of the cricket court, ran an amazing event specially orchestrated for the kids of the employees of the ERA member organizations. 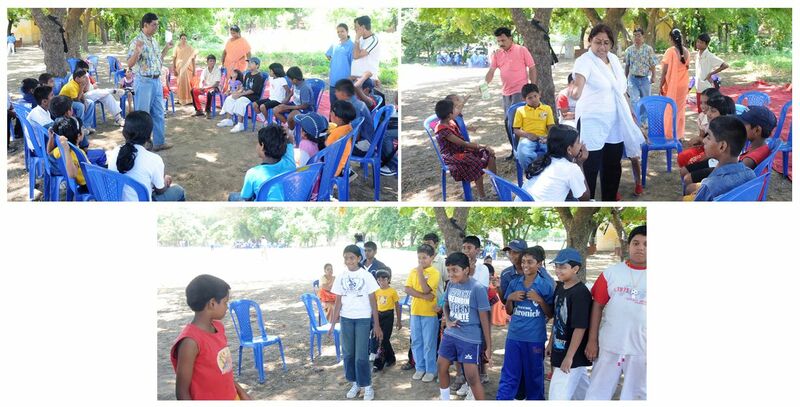 While their parents battled it out there on the field, their children relaxed in the outdoors under the cool shade of a large tree. 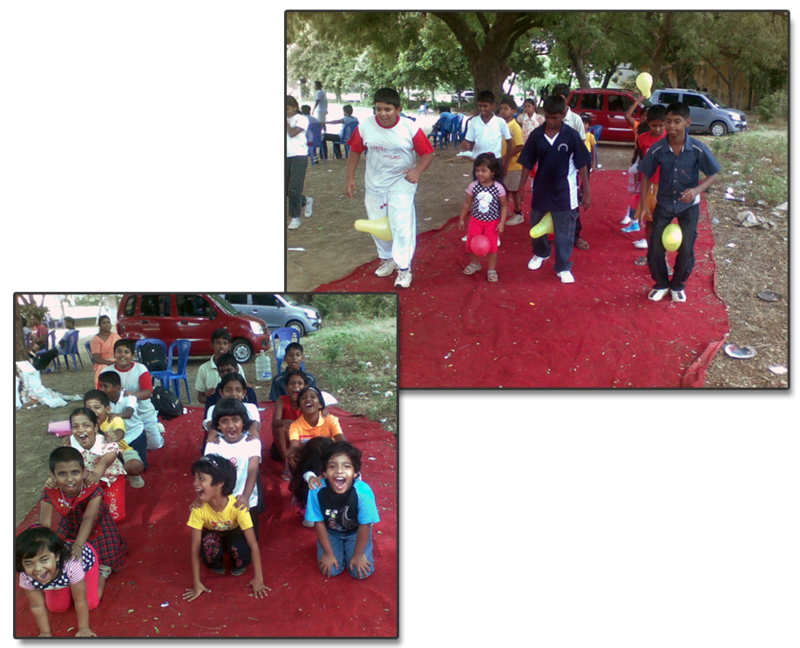 They played funny games and in general had a regular Kidrompics! 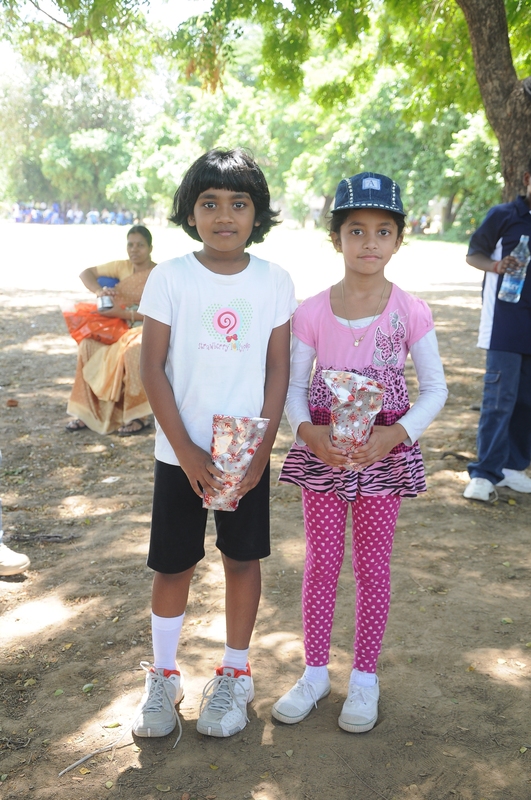 All the kids left with broad smiles on their faces as they got lovely little gifts for their enthusiastic efforts in the games organized for them. 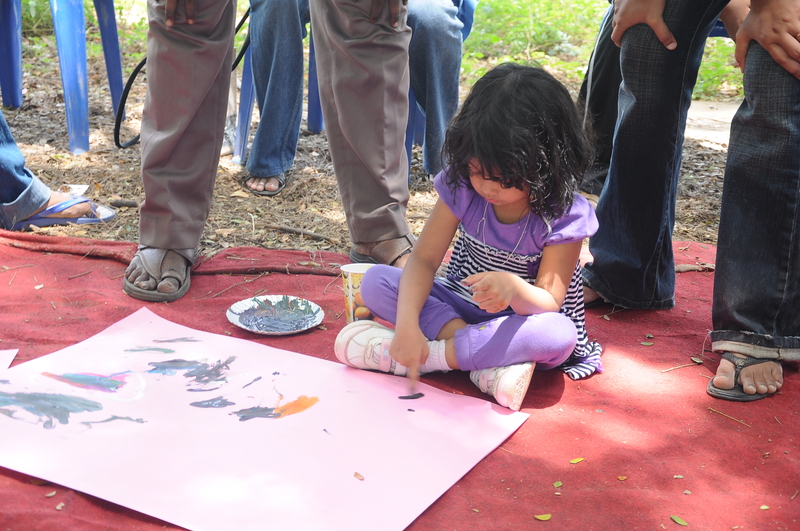 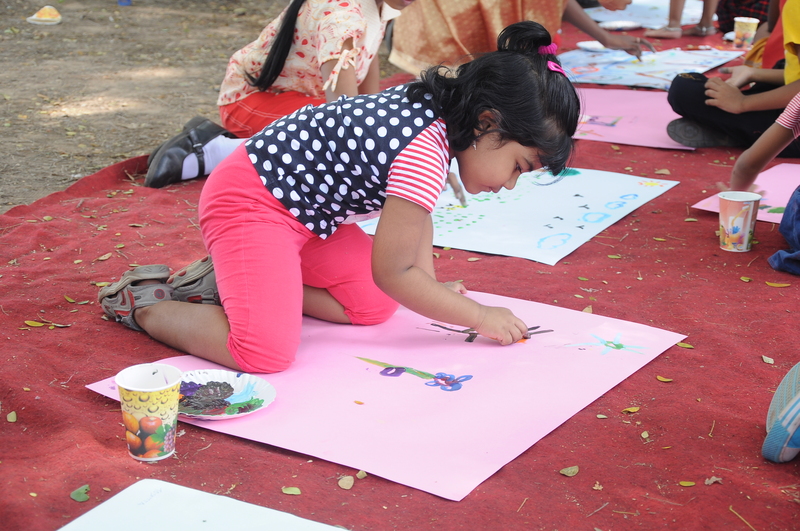 The painting competition in particular had their creative instincts unleashed and there was a flurry and whirlwind of riotous colors all over the place! 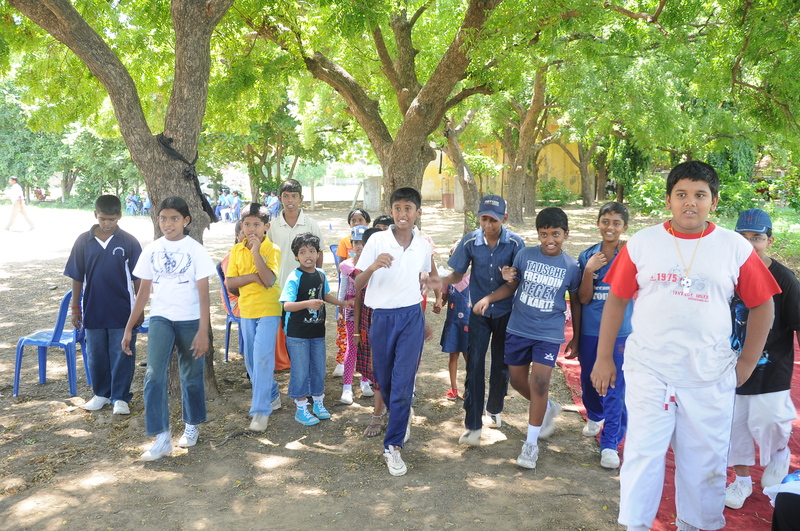 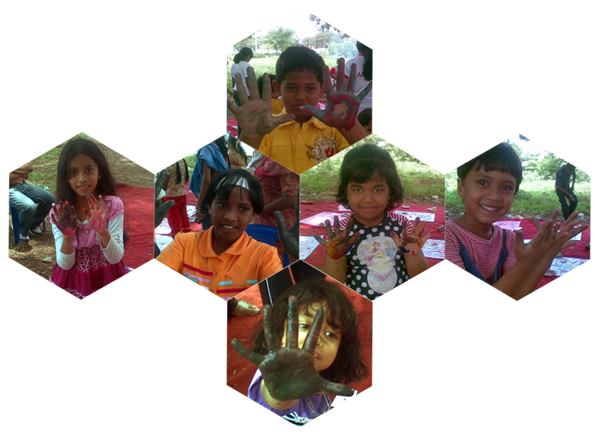 The kids were exhausted at the end of their day, gleeful with a all the noisy activities such as number games, TT Relay, balloon games, crocodile racing, Mr. Wolf and a painting competition. 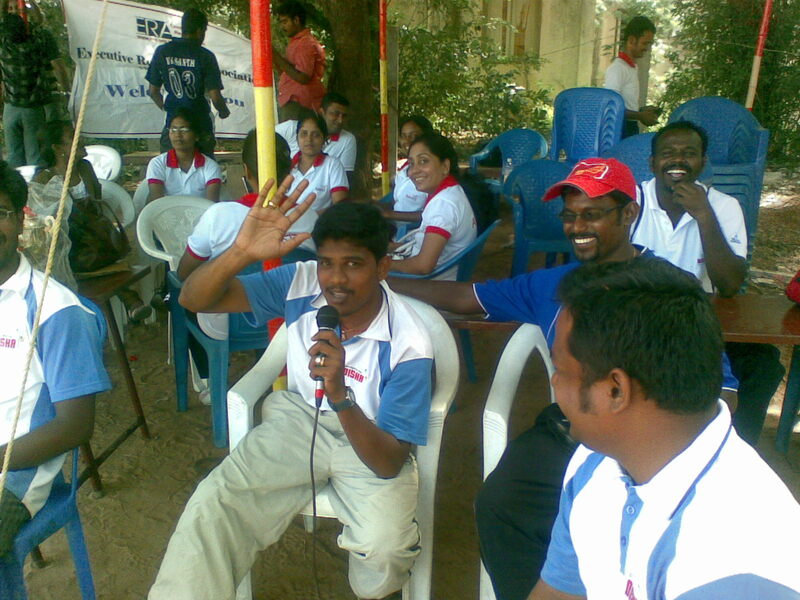 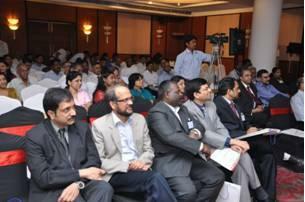 The core team along along with a few enthusiastic participants took over the commentaries. 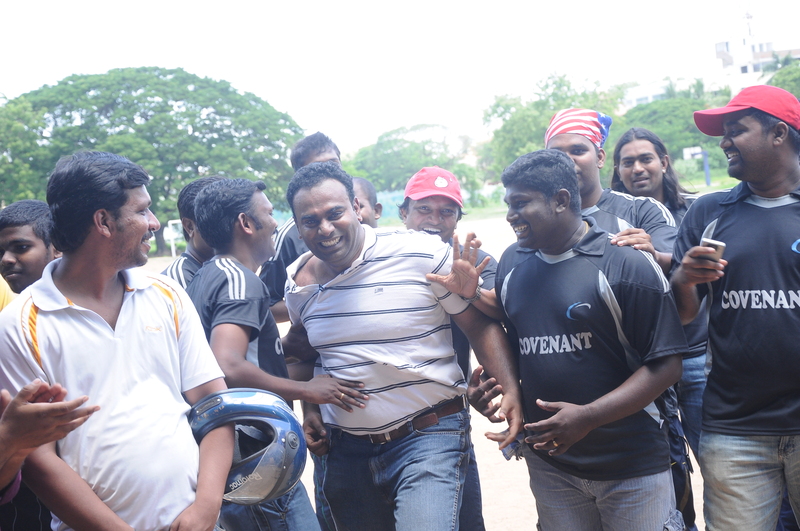 We were offered plenty of jokes, witticisms, funny imitations and plenty of seriously light hearted comments on the games and particularly on rival teams’ performance! 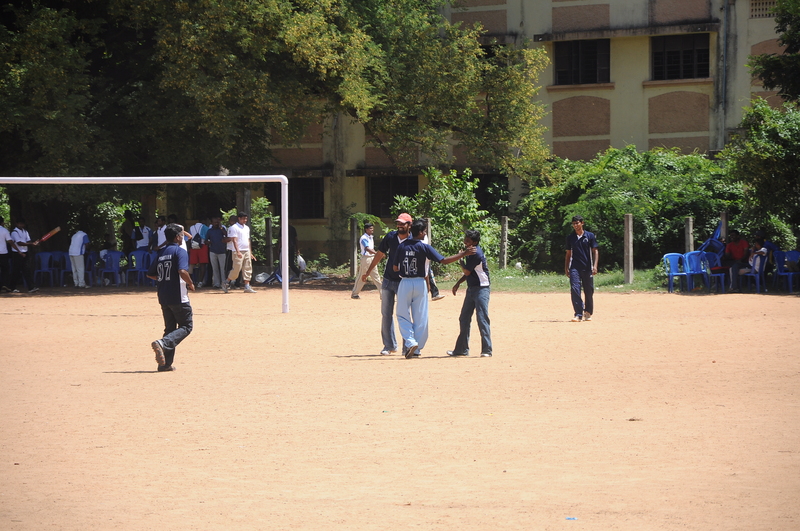 The sudden down pour put an end to all the activity and everybody ran amok to find shelter. 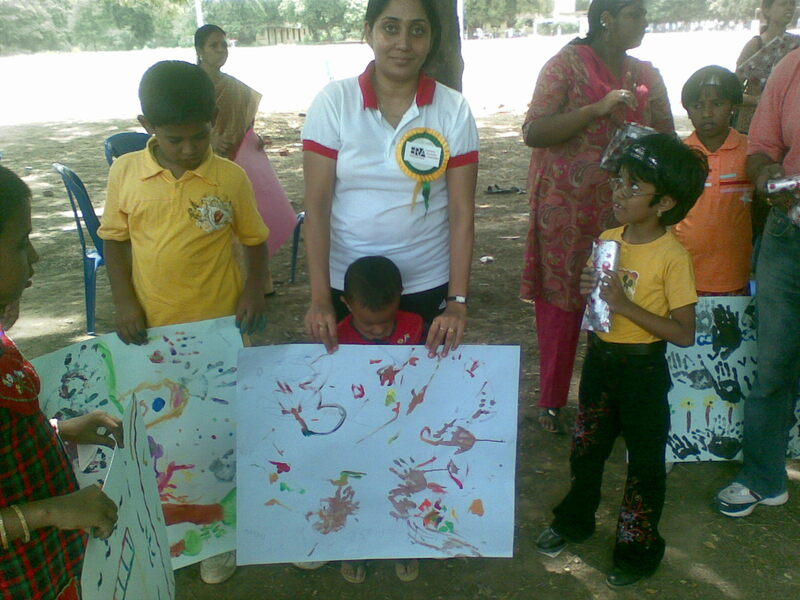 It was just too bad that the day had to end on such a wet note. 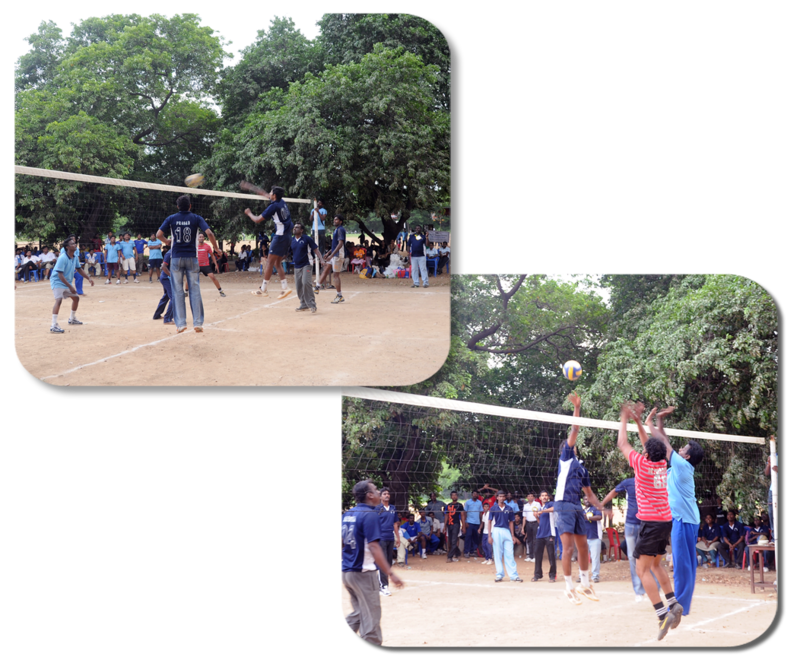 The finals for cricket, volley ball and tennikoit, semifinal for volley ball and the relay for both men and women are pending. 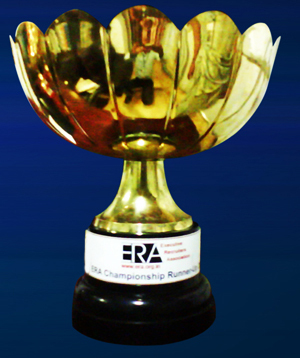 So the ERA Chennai Chapter Sports Meet 2010 has been extended to July 3, 2010 where the final battles will be fought for the overall Championship Trophy!